(Host) State officials say a Florida company’s charge that it has lost confidence in Jay Peak’s handling of a program that brings foreign investment to Vermont won’t have any long term repercussions. The EB5 visa program has brought more than $230 million into the state since 2005. (Zind) The federal EB5 program is designed to bring capital to rural areas by offering permanent residency to foreign citizens who invest at least five hundred thousand dollars in business projects that create jobs. 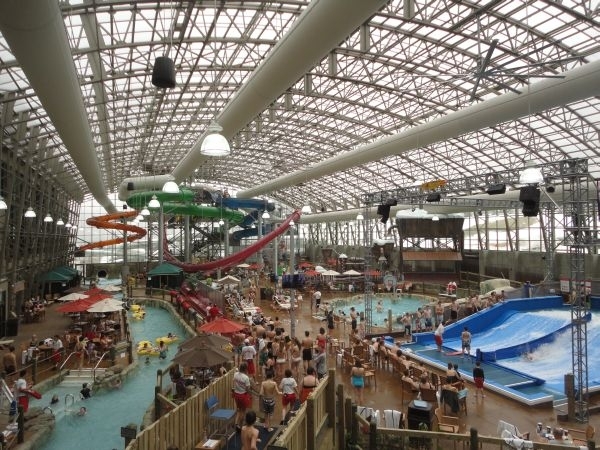 Jay Peak has attracted millions of dollars in foreign investments for an expansion that includes a recently opened water park. Recently, though, a company that worked for years to help Jay with the EB5 visa process sent out a strongly worded email. Rapid USA Visas announced it was ending its relationship with Jay, saying it quote "no longer has confidence in the accuracy of representations made by Jay Peak." Unquote. The email caused a stir. (Stenger) "I got a lot of phone calls from investor lawyers wanting to know the background." (Zind) Bill Stenger is Jay Peak’s president. (Stenger) "I’m not going to say it hasn’t been an annoying couple of weeks, but we have the data to support our position and we’re providing it." (Zind) Stenger says he’s been able to reassure investors that there’s no basis to Rapid USA Visas’ contention that the company has misrepresented the projects, results or investments made under the EB5 program. The state agrees. James Candido runs the program for the Vermont Department of Economic Development. The job involves both recruiting businesses to take part in the EB5 program and overseeing them. He says Jay Peak has a 100 percent success rate both in terms of EB5 projects meeting the criteria of federal law, and of vetting investors. (Candido) "And that’s something that’s not only monitored by us, but more importantly it’s monitored by the federal government." (Zind) Candido says when Rapid USA Visas ended its relationship with Jay his office reviewed the resort’s EB5 documents and found nothing unusual. He says given Jay’s track record, he doesn’t think foreign investors will shy away from putting money into the resort in the future. (Candido) "I think most folks that operate in the EB5 marketplace understand that things are still being done correctly." (Zind) Candido says over a six year period, Rapid USA Visas never expressed any concerns about Jay Peak. The company hasn’t responded to his request – or those of the media – to talk about their recent email. Rapid USA Visas continues to work with one other Vermont company that solicits EB5 investments. A Burlington dance artist and drum master from West Africa has been prevented by federal immigration officials from returning to the U.S.